During the holiday season we reflect on the past year, spend time with family and loved ones, and prepare for a new and fresh year. Speaking of families, did you know that of approximately 2.2 million farms in America, 97% are operated by families, family partnerships, or family corporations! (Source: American Farm Bureau Federation). It is a common misconception that many American farms are “factory farms” – which is simply untrue. Personally, every single farm and ranch I know is family operated and/or owned (by some very fine people I might add). 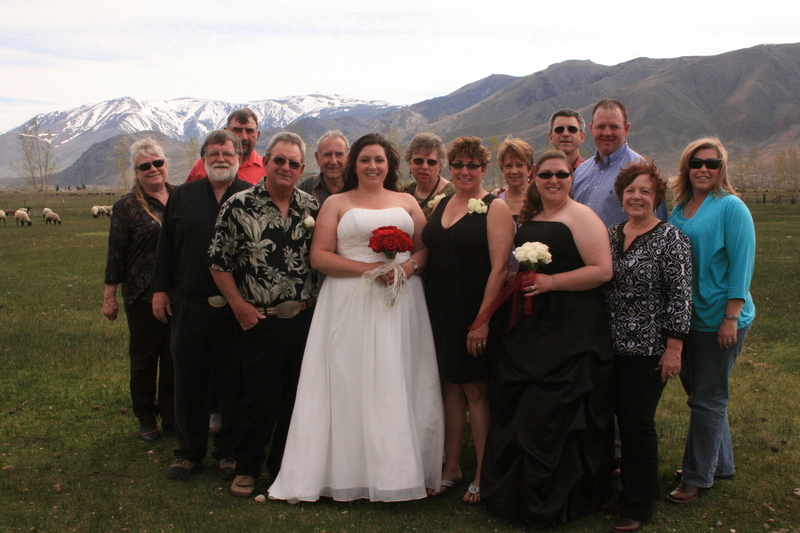 This a photo from my wedding day of my immediate family. Both my Mom and Dad’s families were ranchers, and my sister and I are the 4th generation born and raised on our family’s ranch. Previous Alternatives to turkey on Thanksgiving Day? !